If you do not have a child with autism, then you might not know what every affected family was served on Thanksgiving Break—a new study showing that brain autopsies of people with autism reveal 22 times more aluminum than a neurotypical person. (Mold et al, 2017)i This is the human study that is the smoking gun for connecting the 5000 micrograms of aluminum in the current vaccine schedule to the neurological injury in susceptible children. All network media has been silent. Prior to 2010 and social media, most consumers were not reading vaccine ingredients, so aluminum adjuvants went unchallenged for safety. Since 2011, the CDC has been promoting a study on ingested aluminum to try to convince the public that injected aluminum is not harmful to children. The CDC has tried to use epidemiological studies theoretically showing that that low dose, high accumulation of aluminum is safe (Mitkus et al, 2011).ii However, biological research shows the exact opposite. Low dose injected mercury is a Trojan horse carried through the bloodstream to the brain, unlike a large mass dose which is walled off by granulomas at the point of injury. (Crepeaux et al, 2017)iii Aluminum has also been implicated in Alzheimer’s disease at two times more than median. It is important to note that autism and Alzheimer’s disease are both neurodegenerative diseases affecting the brain, and both are current epidemics. Autism affects 1 in 36 children (NCHS 2016), and Alzheimer’s disease affects 1 in 10 adults over age 65. I am a proud graduate of the United States Military Academy. West Point’s intense training taught me how to mitigate risks and optimize outcomes. As a young officer in Bosnia in 1998, I had an urgent medevac request for wounded soldiers. The difficult terrain and inclement weather eliminated aircraft as a transport option. 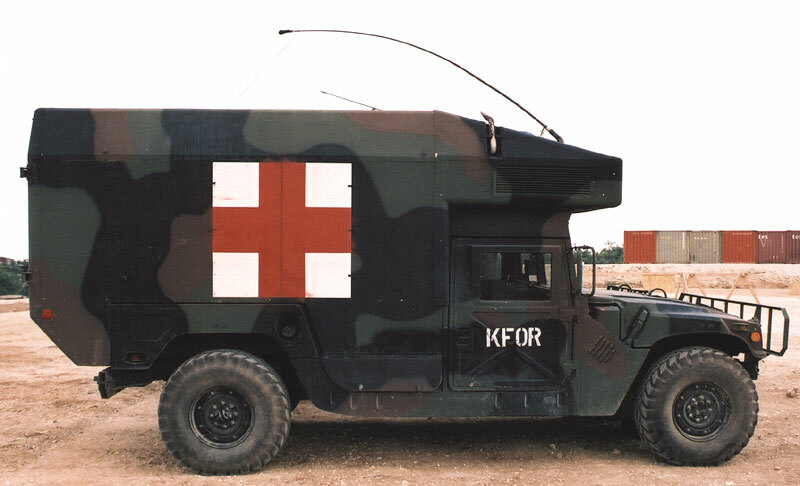 The protocol for Humvee M997 ambulances required a four-vehicle security convoy with armed vehicles to defend the medics, and that was not an authorized operation until dawn. I was left with the untenable situation of leaving wounded soldiers in the cold for an entire night. The situation demanded a new approach. So I asked the Swedish soldiers with their armored tactical ambulance (SISU) on the base camp to transport US soldiers. They conducted their own risk assessment and agreed. I waited through the long night, out of radio communication range, for their eventual safe return at daybreak. Was it dangerous? There were risks for both the medics and the wounded. Was it an established protocol? No. Did it optimize outcomes? Yes. So is it ethical for a person to take risks in the absence of protocols and in the presence of harm? In 2006, my toddler was diagnosed with mercury poisoning, and upon further testing aluminum poisoning was identified too. Both metals are vaccine ingredients that were included in the expanded 1988 US vaccine schedule. At this time, I did not have access to the full online database of published medical literature available today. In the absence of accessible research on removal of heavy metals from a child’s body, I had to make a timely decision that would affect the trajectory of my son’s life. So I worked with two M.D.’s from mainstream medicine to implement a chelation protocol with my son. First, we set him up for metabolic success by removing sources of dietary inflammation, introducing supplements for nutritional deficiencies, and treating his yeast contributing to leaky gut and mal-absorption. Next, we decided to start with the least aggressive method of chelation using transdermal medications. From ages 2 to 6 years, we worked our way up to oral and IV methods. Monthly, we tested his blood for both markers for stress on the organs and measures of metals excreted. He showed incremental reductions in metals, and never had any flagged values for liver function. We let lab reports guide the use of DMSA, DMPS, and EDTA. These sulfur-based compounds bind with various metals in the body and are excreted in urine. (There are also natural minerals that facilitate the excretion of aluminum like silica). During those years of chelation, my son stood out in the special education classroom because his challenges lessoned while his affected peers’ challenges increased. The Mad Hatter symptoms dissipated. Only a handful of our friends knew the details of our son’s chelation treatment. I had to wait many long nights for his return, but I was not in radio silence. He regained the ability to speak, to communicate his needs, to tell me his interests, and to make friends at school. For those who would criticize my choice, I am fully immune to personal attack. Instead consider attacking the CDC campaign of data manipulation to bury the evidence in biological science against metal-based adjuvants and preservatives in vaccines. Looking at the most current research regarding aluminum and autism, I have no regrets knowing that under the constraints of the media blackout for the last decade, I optimized my son’s health outcome. If you are a Colorado resident and want to join the grassroots movement to protect vaccine exemptions in our state, then please visit the Colorado Health Choice Alliance homepage https://cohealthchoice.org. Sign up for their email list to stay informed of legislative action and make a donation to support their efforts. Every donation helps this organization lobby, educate and form a vocal community to counter the continuous threats to our liberty and freedom.